Our Beautyrest heated mattress pad contains Secure Comfort technology, which is designed to virtually eliminate Electromagnetic Field emissions. The soft flexible wires and quilted top ensure your comfort. The fitted skirt is designed to create a perfect fit and fits up to a 17" mattress. 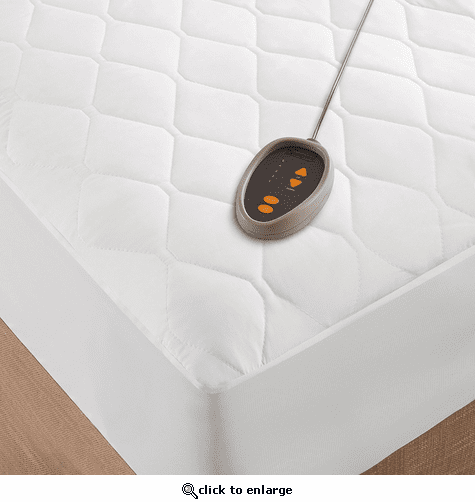 Our heated mattress pad is machine washable, with a 10 hour auto shut off, 5 setting temperature control. Twin and Full size have one controller.